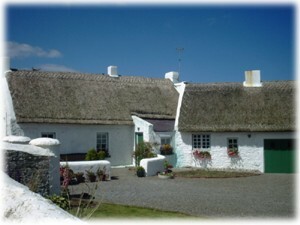 This is a fine example of an 18th century-thatched farmhouse which has been restored and is now a private residence. It features the original cobbled yard and a bakehouse which is incorporated into the house. At one time the bakehouse ovens were used by people in the locality to bake bread.